She now, became a cushion for little Mrs K! Confirming the stereotype, we had horrible weather today. Not sure how happy zebras are in Scotland?! Anyways. We needed to move outside for pictures as there was actually zero light inside. So. For the reference. I used Lorna's amazing tutorial for Zany. After making her elephants, I am even more into zebras now... 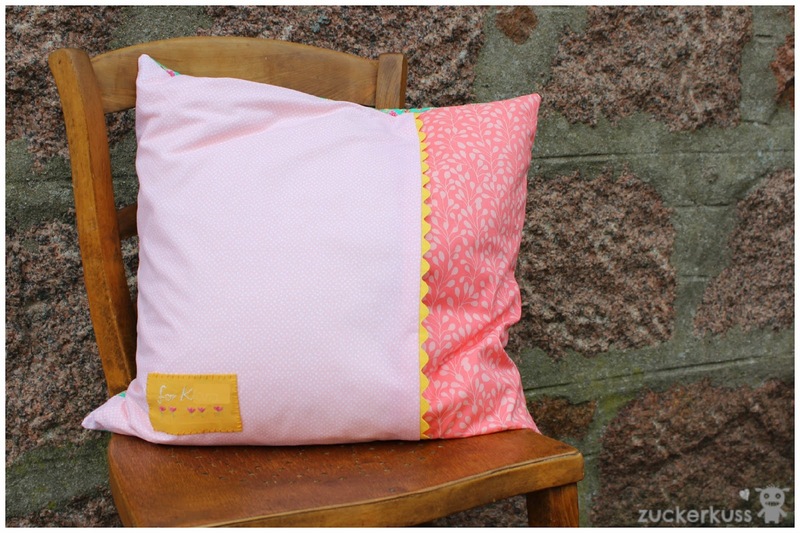 I used mainly Kona cottons but also some prints such as priory square, fern in pink and some pink mini dots. 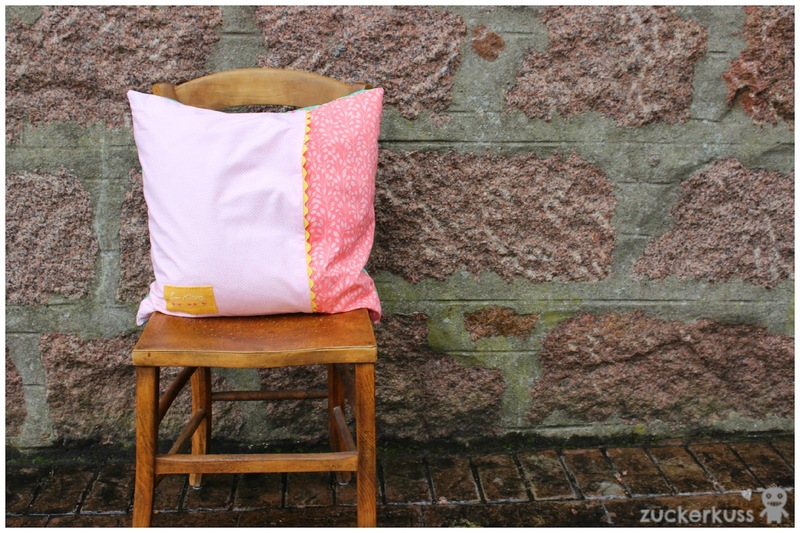 Furthermore I added some fun yellow zigzag I found in Glasgow the other day; a real bargain. And to make a bit special I handstitched a label (just learned that in Rachel Hauser's handstitched class). I added some female attributes to Zany as she is clearly a lady. So she got some beautiful appliqued eyes and handstitched eyelashes. I am still not too sure if I maybe should have undone the pinkish solid frame around Zany. Hmmm. I hope K doesn't mind. She will get Zany for Easter. So fingers crossed she will like her. 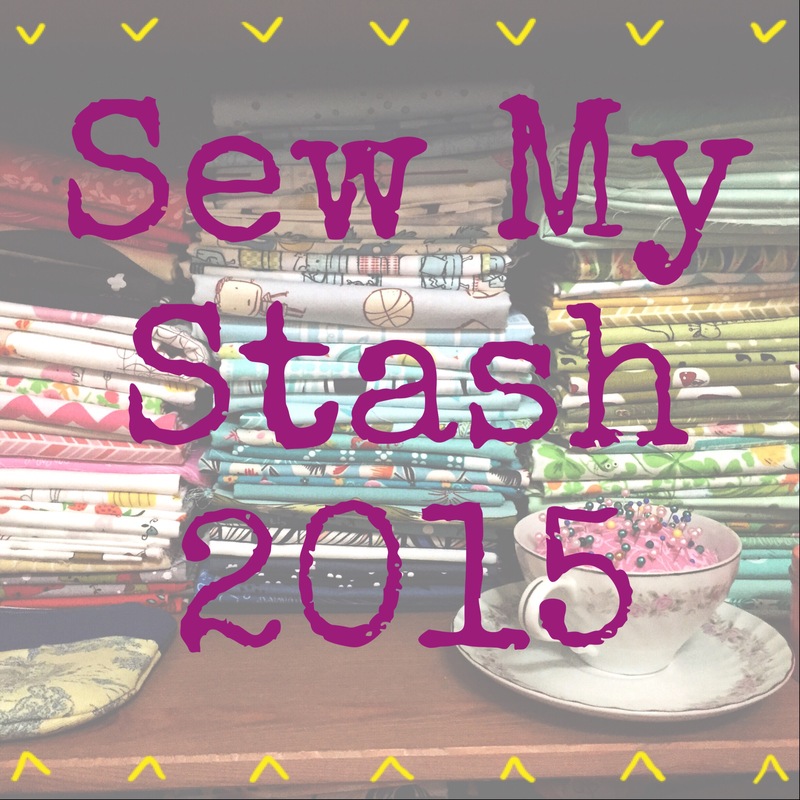 Linking up today with crazymomquilts. TGIFF, NTT and let's bee social. Happy sewing to all of you. What a sweet zebra! I love her eyelashes! I'm sure Zany will be well-loved. Oh, so sweet! I'm sure she will be loved. I just finished my elephant parade quilt and these daring zebras are now in the queue. Happy Easter. Adorable! 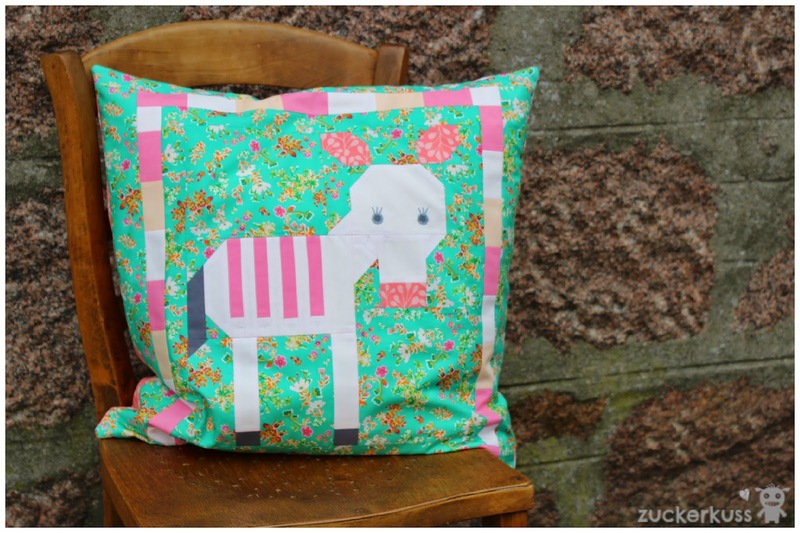 I am so happy to see that Zany has become this very pretty cushion. You did a lovely job of making her a lady and I am sure she will be adored! Happy Easter to you and yours! 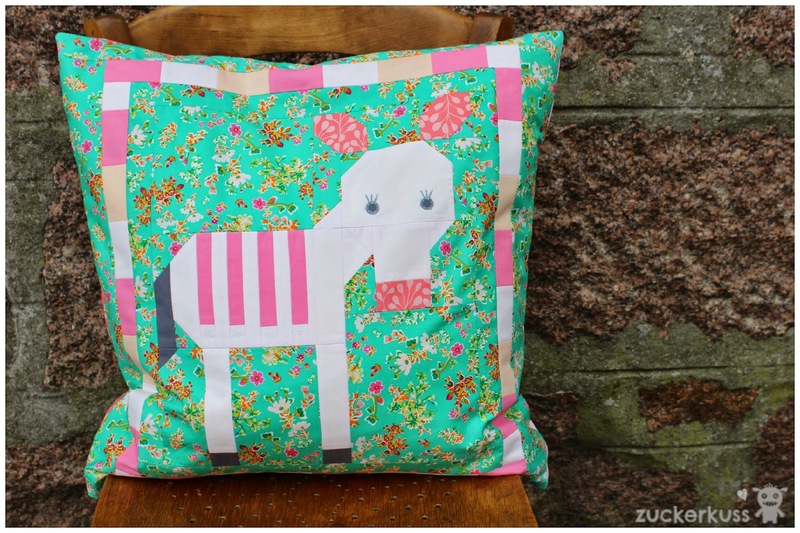 I really fell in love with Lorna's elephants and REALLY want to make some, just haven't had time yet. I love your little zebra and even more that it's a pillow. I don't know why making just one as a pillow never even occurred to me. Thanks for the idea! 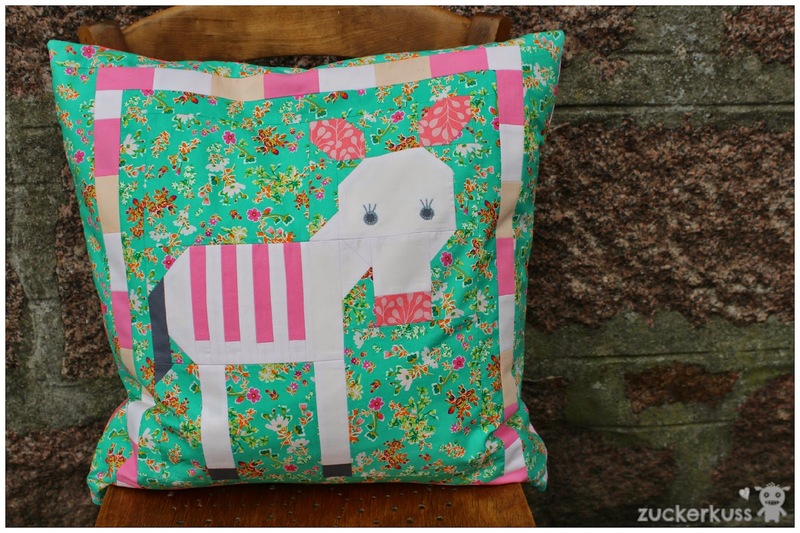 Your Zany Zebra is so darn cute! So adorable! I'm making a zebra pillow for a swap partner, and I was getting desperate. Thanks for sharing this!